Murphy’s Resort provides all painting supplies including: paint brushes, acrylic paint, easels, 16” x 20” canvases and also includes your first beverage; beer, wine, coffee, juice or soda. Additional drinks are available for purchase in our lounge. You can paint anything you desire in a relatively short period of time after attending a Sip-N-Paint event. Once you discover the joy of painting, you’ll find it’s a great craft to unwind with at home. Just a few tools are needed and you’re set to go. Fridays and Saturdays from 7 p.m. to 9 p.m. Cost: $35 per guest. Open to the public: $45 per person. Includes paint brushes, acrylic paint, easels, 16″ x 20″ canvas. cost includes your first beer, wine, coffee, juice or soda. 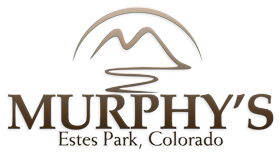 Open to the public and to Murphy’s Resort guests. *Additional beverages available for purchase in Murphy’s Lounge. Sip-N-Paint Cancellation Policy: If you cancel 24 hours prior to the scheduled class, there is no cancellation fee. If you cancel within 24 hours of the scheduled class, there is a $20 cancellation fee per person.